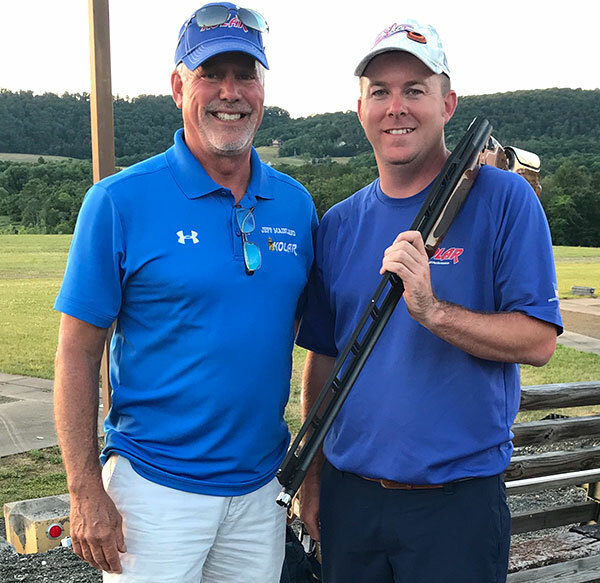 Aaron Willoughby has been an ATA competitive trapshooter since 1995 when he first registered targets in the sub-junior ranks. Growing up in Clay City, Kentucky, his parents started taking him to local trap clubs soon after he was born. After turning fourteen, he fired at his first clay target at the Montgomery County Sportsmans Club near his hometown. An active baseball and basketball player on his school team, he decided to set those sports aside after falling in love with the sport of trapshooting! He has been involved in the trapshooting service industry for more than 18 years, working in sales, gunsmithing, and new product testing. Aaron currently works as a sales associate for Elite Shotguns, the largest stocking Kolar distributor in the country! Aaron manages the Elite Shotgun’s Traveling Mobile Showroom and can be found at events across the country. Be sure to visit and check out Elite’s huge selection of Kolar shotguns! Aaron also has earned numerous national and state level awards throughout his career. Since beginning as a sub-junior, he has earned numerous satellite Grand/Grand American awards, ACUI collegiate trophies, hundreds of state-level events, and countless local events at shoots across Kentucky. Aaron was also a scholarship recipient at Lindenwood University in 2002, earning a spot on their first national collegiate shotgun team. Feel free to contact Aaron regarding Kolar competition shotguns!